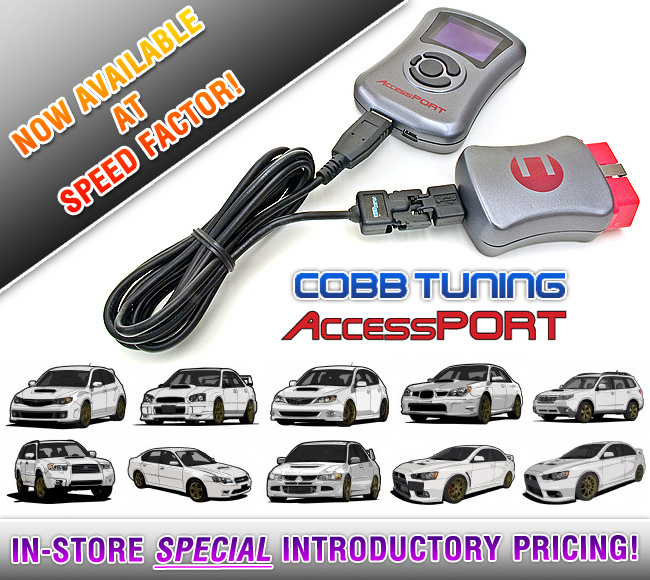 Due to popular demand, we now carry Cobb AccessPORTs at INTRODUCTORY PRICING! 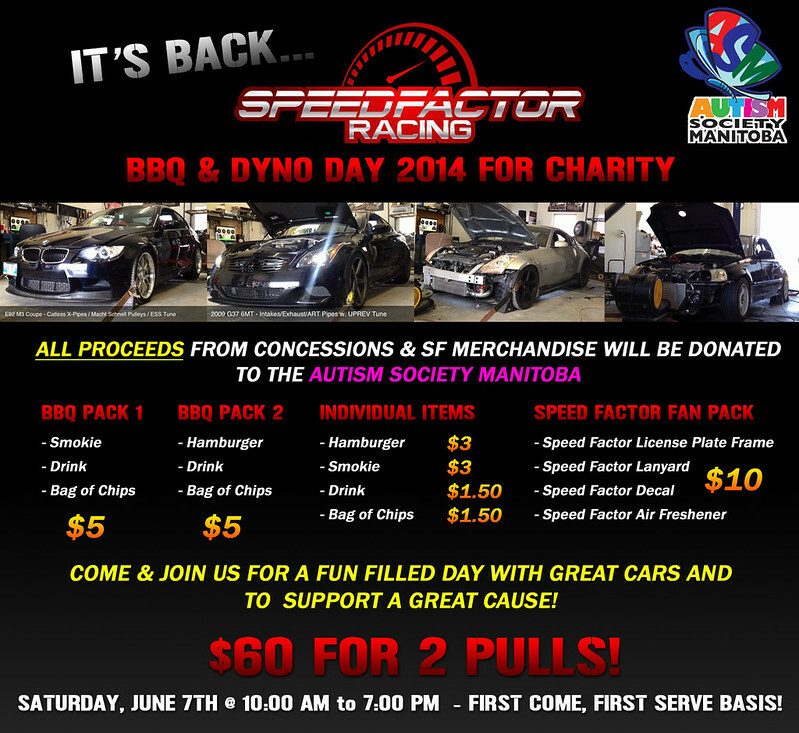 AccessPORTs are a great way to give your turbo vehicle a HUGE gain in horsepower levels over stock. Due to our low pricing, prices will only be given IN STORE. Skunk2 Racing’s Pro-Series Intake Manifold improves airflow thus increasing horsepower by as much as 8% over stock manifolds on stock engines and even more on modified or forced-induction engines. 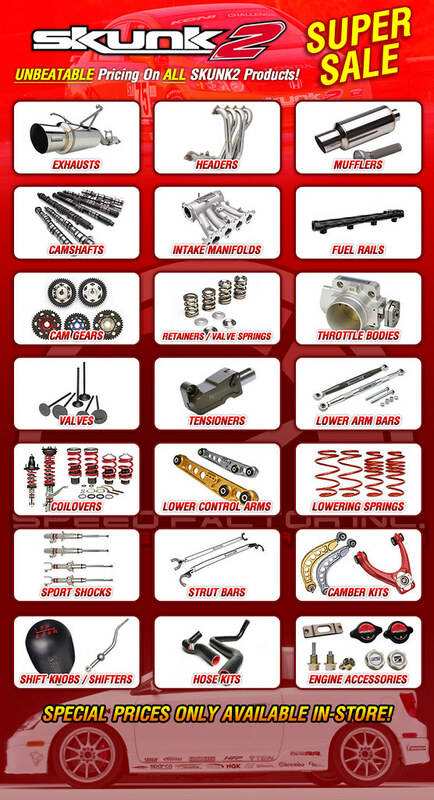 Skunk2 manifolds significantly increase horsepower between 3000-8800 rpm; the broadest powerband increase in the industry. Our new Pro-Series design features a 22% increase in power over our previous design. Engineered with a larger plenum and tapered runners, Skunk2 manifolds increase and accelerate airflow, and are designed to increase the effects of wave scavenging at the engine’s optimum operating RPM range providing a broad overall increase in usable power. Each runner entry is also modified to balance airflow between cylinders. Oversized throttle bodies can be used as a result of the modified IAC opening on the flange. 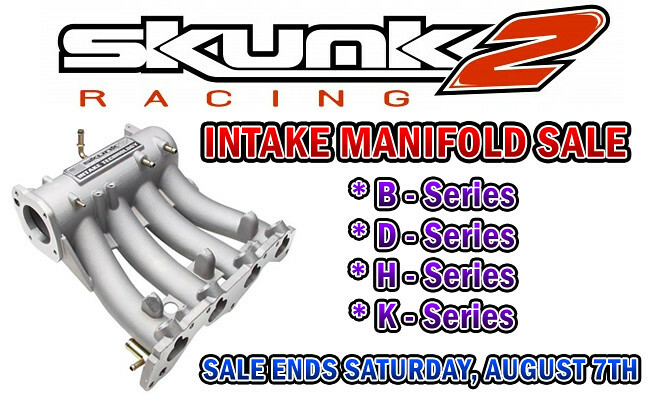 Like OEM factory manifolds, Skunk2 manifolds are shell molded and CNC machined, to achieve superior strength, high-quality finish, and a precise fit. Each manifold is vacuum tested to ensure quality and leakfree operation. 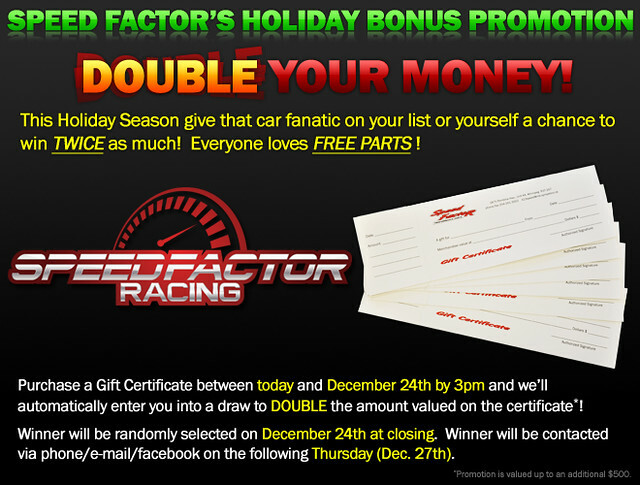 If you’re planning to swap a motor or want to freshen up old OEM motor mounts, we have the perfect promotion for you. We’re selling Avid Racing Billet Motor Mounts at some of the lowest prices we’ve ever listed them at until inventory runs out. Be quick and get your mounts before they’re gone! 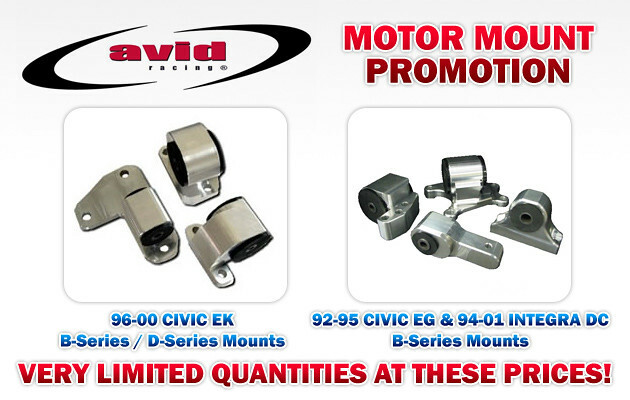 The new wave of Avid engine mounts is here, completely re-designed. These mounts are CNC machined, using Alcoa 6061-T6 aluminum. The engine mounts are superior, lightweight and designed to take abuse from a daily driven car on to a full out 1000+ hp racecar. Controlling the durometer of the polyurethane inserts minimizes engine movement. 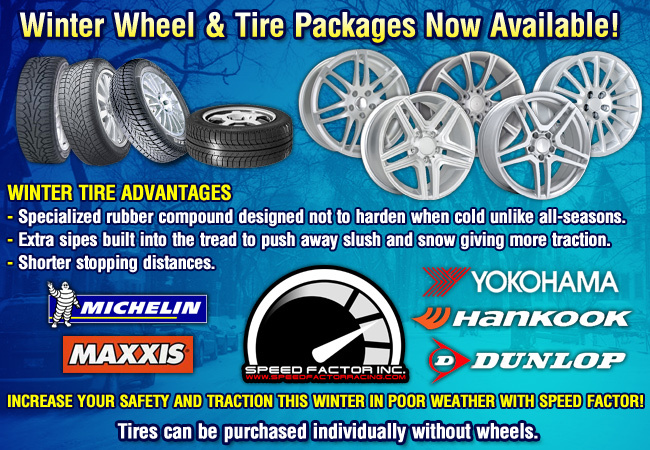 We offer 3 different durometers of inserts, which are available at no additional cost. 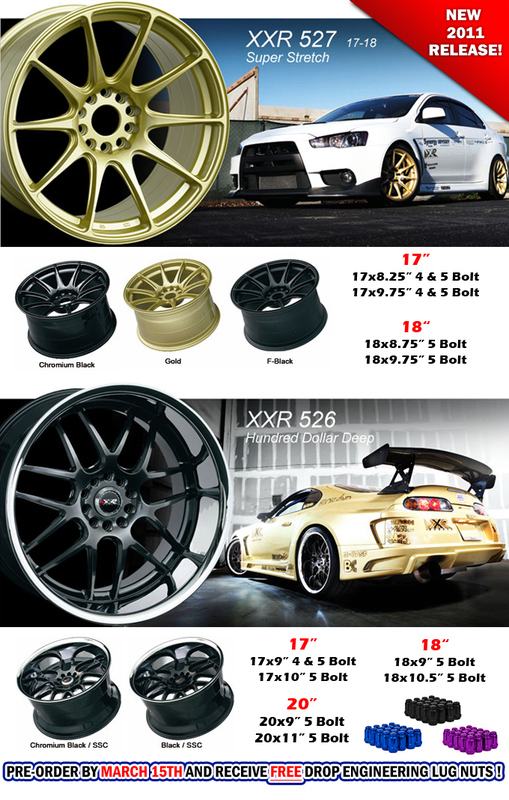 When ordering, specify whether you want a street, strip or race polyurethane inserts. The polyurethane inserts also have a lifetime warranty. All products are tested to meet the industries highest standards. Here at Avid Components expert engineers design products with OEM manufacturing backgrounds. All of Avid products are manufactured in a state of the art CNC facility. Designed and made in Canada. Here at Avid Components we use the latest in technology when it comes to our process, using CAD/CAM programs, virtual machining and probes. This allows us to repeat our quality every time. We use Chick vises to hold tolerances on all of our machining centers. When welding our steel brackets for Avid motor mount kits, we do not compromise in the quality of our welds and welding. Our welders here at Avid are Master Certified Welders with over 15 years of experience in the automotive and aerospace industry. We use the best when it comes to our welding equipment. We use Lincoln Electronics. With the precise performance from our Precision TIG welders to our Invertec STT II welders, we offer the best in quality hands down. Designed and made in Canada.